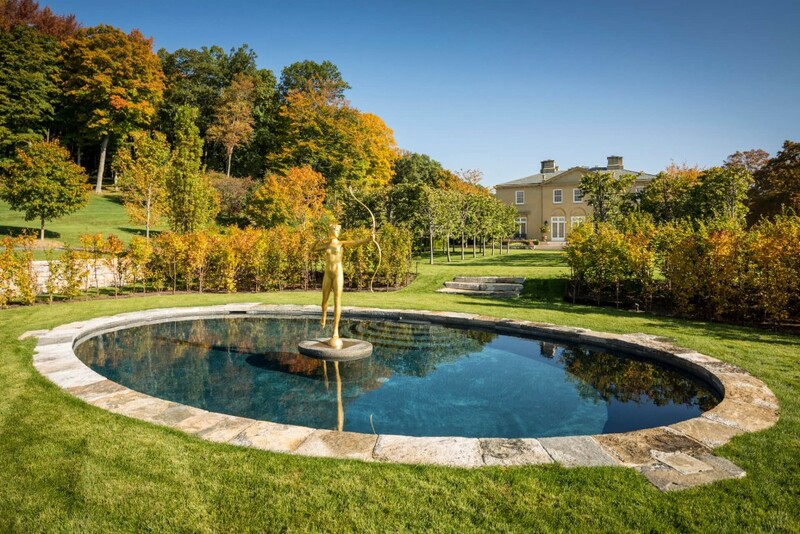 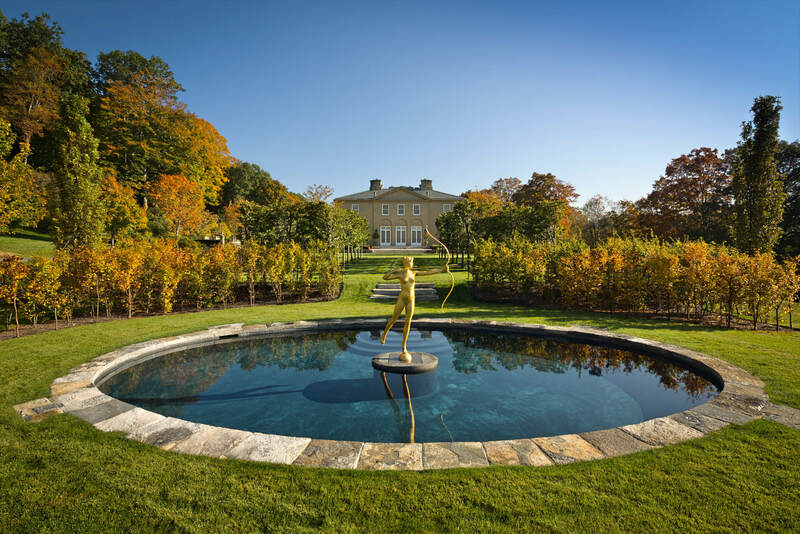 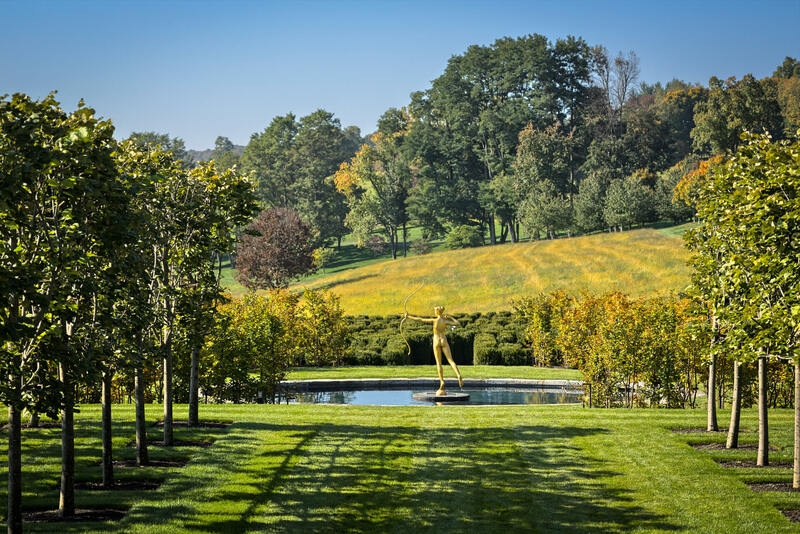 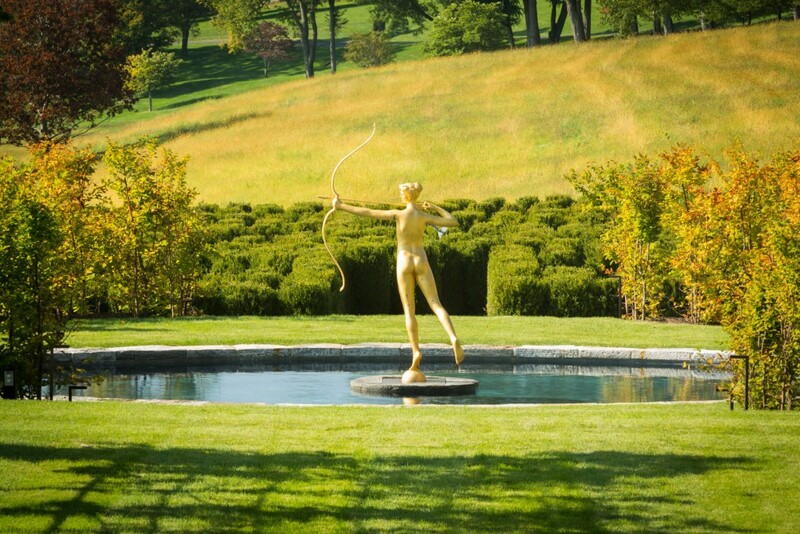 This understated feature pool was designed to house a prized, gold statue on a 90-acre, French-inspired estate. Organic fieldstone coping lends a weathered, antique style that complements the architecture of the home and landscape design. 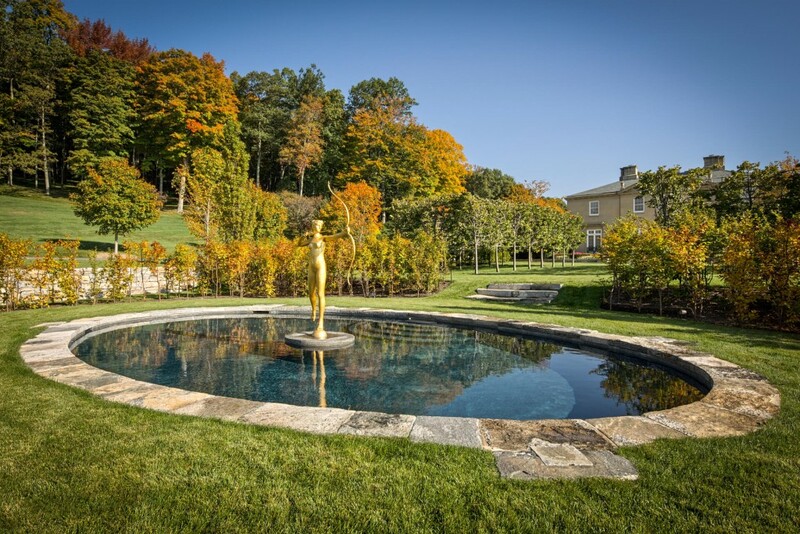 The pool depth is maintained throughout at 4ft.